For several years, Los Osos board members submitted requests for stipends for attending meetings when the payments were not permitted. Examples include a director charging for a meeting that occurred before he was elected to office, directors charging for two meetings in one day in violation of state law, and for charging for meeting with staff or other board members. While elected to serve as non-paid public officials, state law permits board members to receive $100 stipends for attendance at board meetings and some training events to defray expenses. 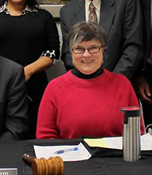 On Dec. 21, activist Julie Tacker sent the district a letter detailing the alleged misappropriations of monies and asking the district to “recover the funds.” Shortly afterwards, the district concluded some of the board members had overcharged the district. Tacker then procured additional records and analyzed six years of board member compensation requests. In total, Tacker discovered nearly $15,000 in possibly ineligible stipend payments. District General Manager Renee Osborne determined some of the stipend charges were unfounded, but limited her examination to the past two years. For example, Osborn found that Board Member Vicki Milledge charged the district $1,200 for ineligible meetings, but also did not charge for other eligible meetings. Prior to Thursday’s board meeting, Milledge sent the district $400. On Thursday, the board revised its bylaws and confirmed board members are not eligible for compensation for meeting with staff or other board members to discuss future agendas. “Moving forward,” the board agreed to no longer permit illicit compensation, and also voted not to require board members to reimburse the district for the past ineligible payments. Tacker, who wants the board members to reimburse the district, plans to file a formal complaint with the San Luis Obispo County District Attorney’s Office. I got a good chuckle out of this. In their opinion, the public’s money IS their money. Why worry about getting the illegally taken money back, there is always more rate/tax payer money that can be taken or scared the voters into approving. 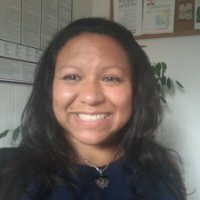 Is the LOCSDs corruption the reason the CSDs water rates are going up? Does working in government corrupt people or do corrupt people seek out jobs in government? Kind of a chicken and the egg question I guess. Easy money is corrupting. Government service = easy money. Los Osos: still leading the way in SLO County corruption.